Fight fans learned yesterday that subsequent tests performed on Canelo Alvarez following a positive drugs test revealed that nothing was found in his system. The report came from The Ring with all signs now pointing to the fight between Canelo and Gennady Golovkin going ahead on May 5th at the T-Mobile Arena in Las Vegas. That is pending an investigation completed by the Nevada State Athletic Commission which is currently ongoing. 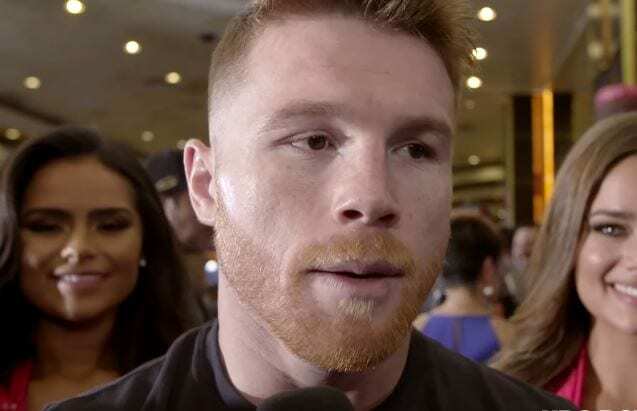 A story on Ring Magazine yesterday reported that Canelo’s follow-up tests since his now infamous failed test last week – revealed nothing on the banned list was in his system. So he tested positive twice and then “a source” has since said he was clean? Who is this source? Of course he did. Nobody is shocked. The damage is already done. @ghostbailey all clear now. I think I’m gunna give him the benefit of the doubt this once. Could have been eating at a fancy restaurant thinking it was clean but wasn’t. You’re not gunna walk round with slabs of steak in your pocket..
Hmmmm still dubious mate, doesn’t he live and train in San Diego? Surely you’d have to eat a lot of meat for it to show up?